PAMELA A. 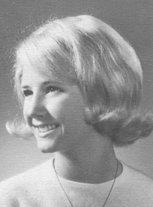 "PAM" HUMMEL (nee Blessing) (formerly Urmann), 61, of Brunswick, passed away on August 14, 2011. She was born November 4, 1949, in Davenport, IA to John and Naomi (nee Vogel) Blessing. She loved her family and her dogs. Surviving her are: husband, Matt; children, Dawn (Brian) Dingle, Ryan (John Coyne) Urmann, Jenny (Rob) Robertson, Chris (Lisa) Hummel; grandchildren, Stephanie, Alex H., Alex D., Noicole, Erin, Maddie, Renee, Rob and great-grandchildren, Brian and Kaylee. Her brother Ronald Blessing preceded her in death. Friends may join the family for MEMORIAL VISITATION ON TUESDAY, AUGUST 16, 2011, FROM 11 A.M. - 12 NOON, AT CARLSON FUNERAL HOMES & CREMATION SERVICES, 1642 PEARL RD. (one half mile South of Route 303), BRUNSWICK. Funeral Service at Noon also at the funeral home. Memorial contributions may be made to ASPCA, P.O. Box 96929, Washington, DC 20090-6929. Published in The Plain Dealer on Aug. 15, 2011.